The whole idea behind SER Footprint Editor is to make it easier for SER users to add footprints to existing engines in SER. By adding more targeted footprints to your engines, you can scrape more targets and drop more backlinks. 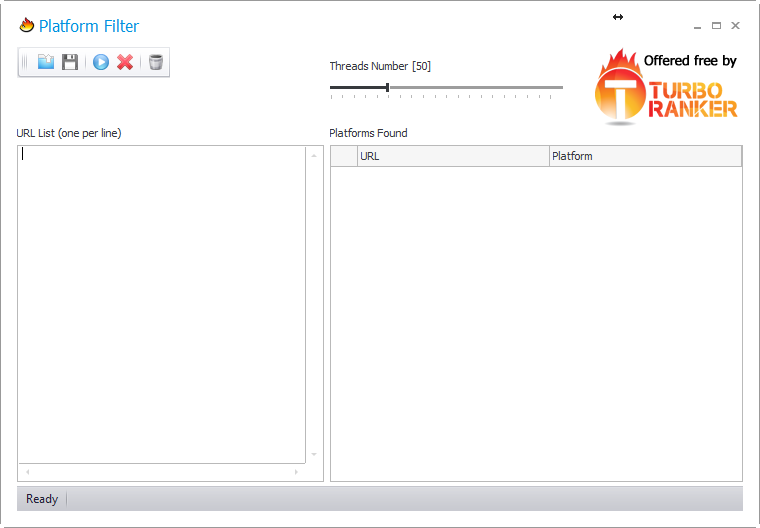 Turbo Ranker - Platform Filter is an free addon (part of TurboRanker Submitter) that can be used without any constraints as a standalone application. The Platform Filter application will parse (filter) the many available backlink lists into manageable lists. It will save the filtered links into separated .txt files (named by the found platform type). GSA Platform Identifier is an extremely powerful, multi-threaded, Windows based computer program that automatically recognizes and sorts imported URLS based upon their platform E.G. Wordpress, BlogEngine, Expression Engine and hundreds more. GSA PI is able to recognize tons of various platforms right out of the box and can sort and detect lots of website URLS very fast. Using GSA PI, you have the ability to effortlessly sort and identify all of your harvested website URL's by simply importing them into the software, setting up a project and clicking go! After classifying is finished, the URLS are ready to be imported into your preferred link building software of choice such as GSA Search Engine Ranker for more efficient automated link building.